The Sundarbans forest is the largest mangrove forest ecosystem in the world. It is home to India's irreplaceable biodiversity, including the Gangetic river dolphin, estuarine crocodile, Indian python, and the iconic Royal Bengal Tiger. The Sundarbans' tiger population is, quite possibly, the world's best hope for preventing the extinction of tigers in the wild since they are one of the largest, best-protected, and most-contained populations of wild tigers. In addition to harboring tremendous biodiversity, it also serves several vital ecological functions. The Sundarbans is the nursery ground for roughly 90 percent of the aquatic species on the east coast of India; the livelihoods of millions of fisher people are directly dependent on its continued health. It also serves as a physical bio-shield, attenuating the wind and wave energy of the ravaging Bay of Bengal cyclones that are otherwise capable of threatening the lives and livelihood of millions of people who live on the outskirts of Kolkata. Located between a densely populated and extremely poor rural area and a rising sea. The Sundarbans faces both climactic and demographic challenges and if left unchecked, it will drastically reduce the biodiversity of the forest ecosystem. The forests of Sundarbans are threatened by population pressure, spatial transformation, excessive resource extraction, salinization, sea-level rise, and climate change and to survive until the year 2100 it will have to successfully navigate every challenge. To ensure conservation of the rich biodiversity of the Sundarbans forest along with enhancing the socioeconomic profile of the region, the Government of India (GoI), and the government of West Bengal (GoWB) requested World Bank support to design a comprehensive programme that responds to the development challenges of the Sundarbans region through non-lending technical assistance (NLTA). The NLTA supported the preparation of various studies that would enable the governments to develop strategic action plans that integrate clearly defined and prioritized interventions to address (a) protection of life, property, and assets; (b) income growth and poverty reduction; and (c) biodiversity conservation. As part of the NLTA Biodiversity Study, WWF-India was assigned the task of preparing a state-of–the art report on biodiversity in the Indian Sundarbans. 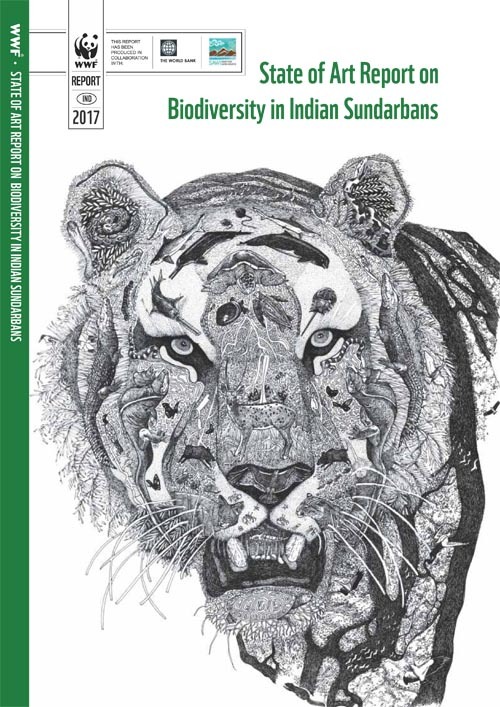 This compendium is the outcome of that task and serves as a first-of-its-kind detailed baseline of biodiversity of the Indian Sundarbans and provides a critical evaluation of the current state of biodiversity in the area. The compendium encompasses eighteen sub-chapters on biodiversity groups that range from microbes to fish to insects and birds to mega-fauna. Each is written by an internationally recognized expert on the topic and each details (a) the status of the group within the Sundarbans; (b) how that status compares to the group's status within the world at large; (c) the threats faced by that group within the Sundarbans; and (d) knowledge gaps that could be filled and policy options that could be implemented to protect the group. Its objective is to combine a detailed assessment of the current status of this threatened ecosystem with an assessment of policy options to prevent further loss of biodiversity. The compendium sets forth a research programme for completing a truly comprehensive analysis of the Sundarbans' ecosystem and also brings in the broader policy perspective and tries to envision a sustainable future for the Sundarbans. It examines the relative priority of the threats faced by the ecosystem and sets forth options for policy makers who are seeking cost-effective ways to address those threats.